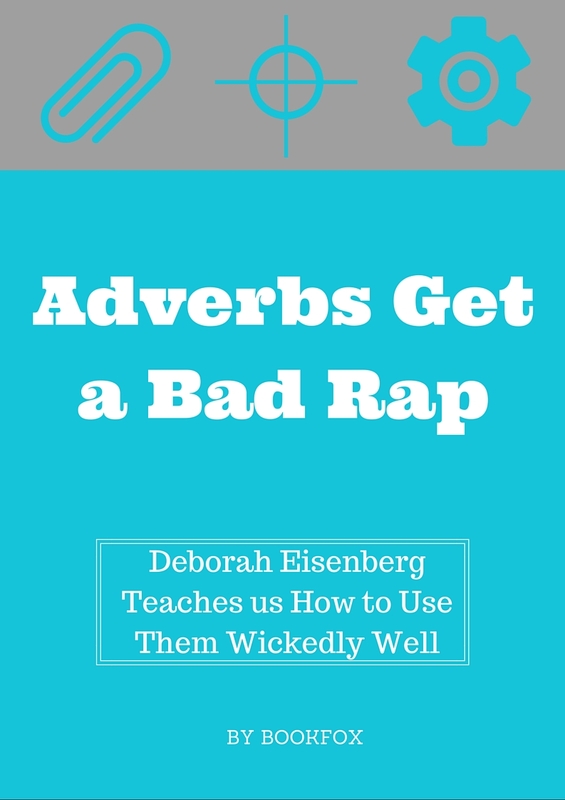 Many writers have a longstanding embargo against adverbs. Too often this is analogous to the U.S./Cuba embargo: originally made for some worthwhile purpose, but as the years pass, that purpose seems less and less meaningful and more and more antiquated. 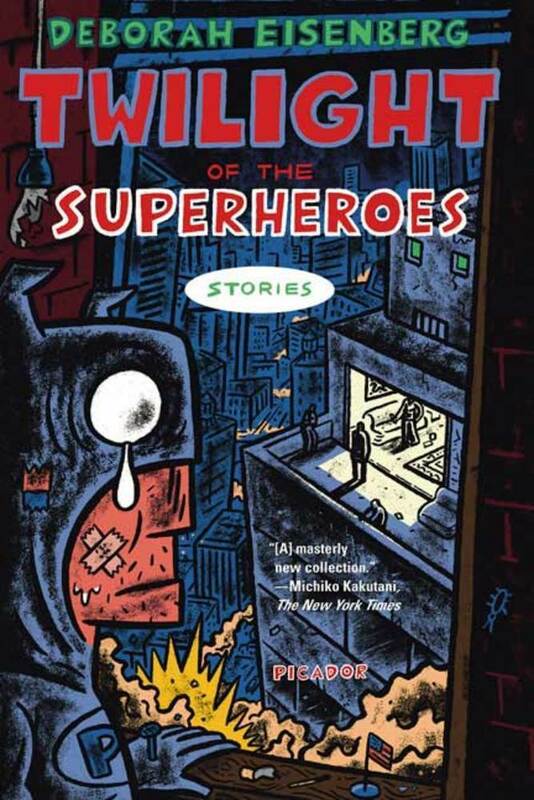 But in reading Deborah Eisenberg’s “Twilight of the Superheroes,” I was struck by the plenitude of adverbs in her prose. They cropped up on the street corners of enough sentences that I was forced to start writing them down, the better to examine them. Here’s a list of my favorites. I love the adaptation of thuggish into an adverb. And its pairing with perfume is positively oxymoronic. By adding that modifier to perfume, the perfume becomes the metonym for its owner — we know that the true thug must be the “she” in this sentence. Here we have another example of a contradictory pairing — things that are austere are never, as a rule, delicious. This pairing of contradictory elements is consistent with Eisenberg’s other language usage — in another part of the book she describes a moon as “cold, sizzling,” the contradictory adjectives mashed up right against each other to provide maximum friction. For starters, acknowledge this is a beautiful sentence. Next, the adverb is an unusual one: hurtling clumsily? But it’s a brilliant phrase because the wind rarely sounds neat, and like any great description, it modifies how I perceive the world. Think of alternative adverbs. She peered inquisitively. She peered questioningly. She peered admiringly. So many possibilities have the dull ring of cliche. But scientifically conveys both a dispassionate, clinical approach and also a genuine interest and focus upon the person. So Eisenberg avoids the typical charges leveled at adverb users by choosing highly unusual adverbs, ones that surprise the reader. Unlike so many other adverbs, they are not words that could be inferred by the surrounding dialogue (she spoke “lightly,” etc. ), but they carry their own weight and add to the sentence. Okay, but Einsenberg goes one step beyond this adverb playfulness. She also practices the double barrel approach, where she will use two adverbs connected by a conjunction or close together in a sentence. Once again, I find this type of frequency of adverbs in literary writers extremely rare, especially in the minimalist era post Raymond Carver. Assaultively scenic! Such a description could only come from the consciousness of the narrator, a curmudgeonly old gay man who is a bit of a misanthrope. Only he would consider the aesthetic quality of being “scenic” a type of assault on him. And demographically uniform perfectly describes the homogeneous nature of little towns. In each one of these, the second adverb isn’t piled onto the first, doing the same or similar work, but adds a layer of complexity. Knowingly is very different from scornfully. Absently AND fiercely is quite a strange combination, and shows the depth and complexity of the character’s emotions. Lastly, Eisenberg uses the placement of her adverb to affect the meaning. Most people would use “leisurely” to modify chatting. It’s wonderful to make the beer itself leisurely, as if the beer has become the substitute for the people. With the adverb coming later, almost as an afterthought, Eisenberg allows us to realize the character of the examination as the protagonist does, letting us first see the examination before figuring out the character. And because the protagonist has a hard time coming up with the right word — the exact right word — it shows that both that this is a difficult examination to characterize and also that she has finally succeeded in pinning down its true nature. Also, the structure of the sentence’s punctuation, with the adverb coming right after the long break of the em dash and before the comma, means that the adverb is placed at a seat of prominence — it is the most important term in the whole stretch, a kind of one-word watershed cleaving the two halves of the sentence. If this post has convinced you of the viability of loads of adverbs in literary fiction, wonderful. If not, that’s fine — but you should still read “Twilight of the Superheroes.” Not only is Eisenberg a master prose stylist, she also is one of the best short story authors currently at work. Well, brava for Deb,my school-mate de temps jadis. She and you might be interested, though perhaps not passionately, in the fact that my own opus HARMONY JUNCTION (2010) has an episode in which some characters discuss their “Adverb Preservation Society”. I am pleased to report that an imprinted sweatshirt with that name has been spotted in the Green Mountains, though after a while, nothing surprises one here, at-least anthropologically speaking. Incidentally, “bookfox”‘s examples are noteworthy for another reason. Fact is that the adverb, or indeed, what I would call “power-modifiers” — I love a well-chosen adjective too — are not that uncommon, even in workaday fictionistas. What DOES seem rare to me is the effective placement of them in a given sentence. I rather think of such modifiers in terms of the dynamic markings in a musical score: for the words to resonate correctly in the head (as with music), they must be up-front, and not tacked-on. I suppose I could find some actual examples in my kindling box, to which I frequently dispatch offending prose, but we’ve all read blather like “‘Gimme the roscoe, Knuckles!’ said Nunzio suddenly.” Too late for it to be sudden. Seems so basic, so high-schoolish, and yet, how frequently authors — and editors! — lose the entire impact of the timing and placement of the supposedly indispensable modifier. With all the alleged writing-teachers running around, my only explanation turns on the degeneracy of the times, and the Triumph of the Slobs. Good comment by “bookfox”. Wish I’d seen it 9and this site) much sooner. Delicious. Syntax candy. The kind of narrative that tugs at our mind to fire up additional synapses…Thank you.